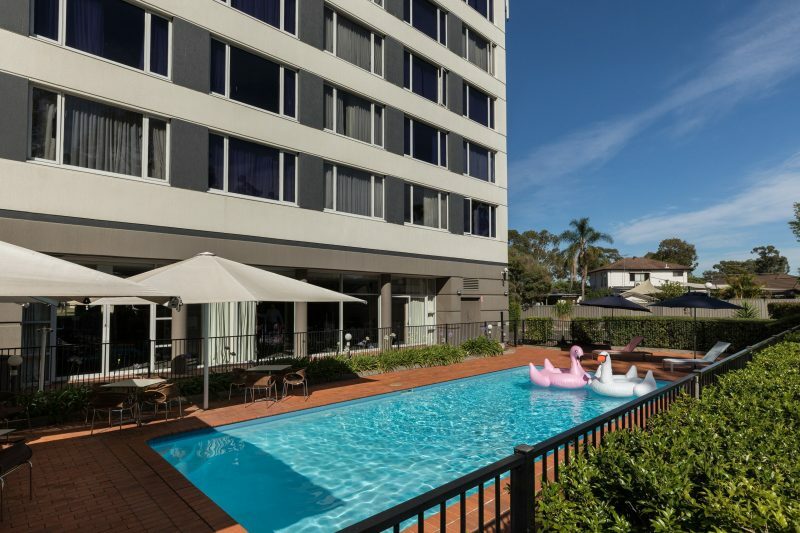 Rydges Bankstown Sydney hotel offers warm, contemporary, refreshing and welcoming accommodation, closely located to the business centres of Bankstown, Liverpool, Chullora, Milperra and Parramatta and the myriad sporting facilities in the area. 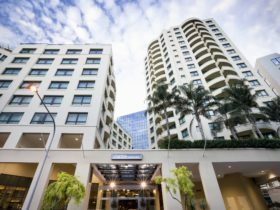 Due to the close proximity to Bankstown Airport, and only 30 to 45 minutes from Sydney Airport, their hotel is idea for business and leisure travellers. 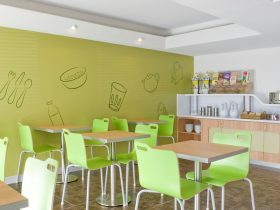 Guests will also appreciate a range of amenities, with 24 hour room service, 24 hour reception, and ample free parking. Relax by their outdoor pool and sunny terrace, or indulge in a treat at their modern restaurant and bar. Their hotel is also equipped with four meetings spaces, boasting natural light, free Wifi and state-of-the-art audio visual. 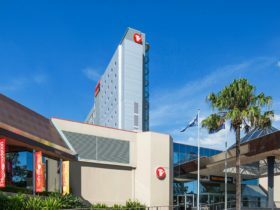 Catering up to 150 guests, Rydges Bankstown welcomes meetings, training, conferences, seminars, weddings, receptions and social events. Their dedicated and professional event planners can assist in organising every detail, from catering menus to decorations, to fit all needs and budgets. They have an intimate knowledge of the local area and are experts in making your event a memorable occasion. 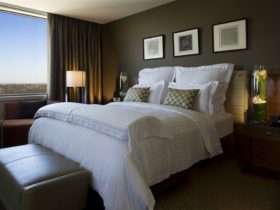 Spacious hotel rooms which are beautifully appointed featuring a queen sized bed and large picture window. 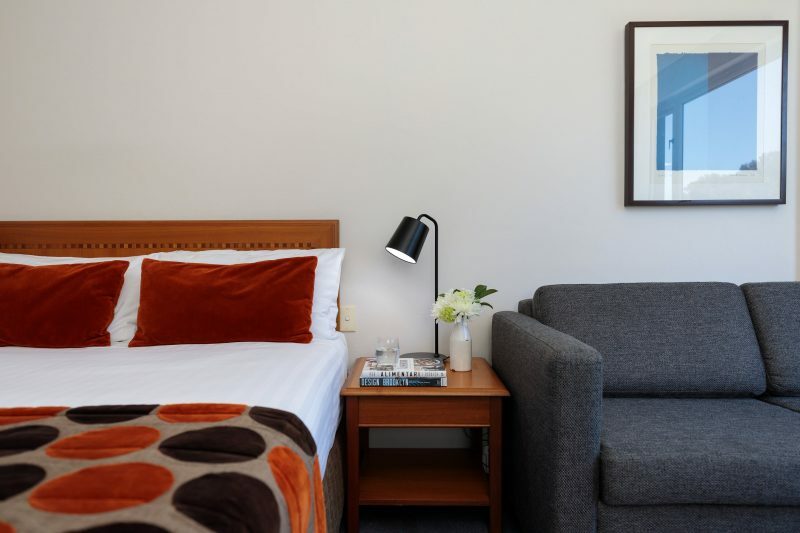 All rooms feature a Rydges Dream Bed, Tea and Coffee making facilities as well as 48 inch HD LCD LED Television, Individually Controlled Air-Conditioning and Free Wifi. Modern, beautifully appointed hotel room featuring two beds and a large picture window. All rooms feature a Rydges Dream Bed, Tea and Coffee making facilities as well as 48 inch HD LCD LED Television, Individually Controlled Air-Conditioning and Free Wifi. Designed with contemporary furniture these spacious rooms have a tranquil mood with views over the pool terrace. All rooms feature a Rydges Dream Bed, Tea and Coffee making facilities as well as 48 inch HD LCD LED Television, Individually Controlled Air-Conditioning and Free Wifi. 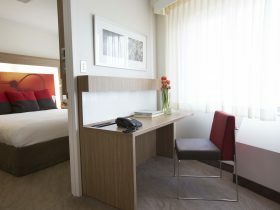 Modern, beautifully appointed hotel room featuring two queen beds and a large picture window. 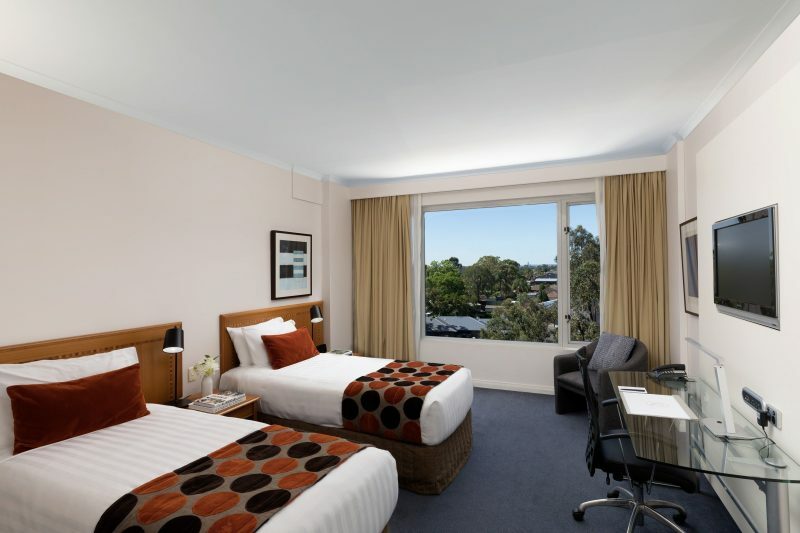 All rooms feature a Rydges Dream Bed, Tea and Coffee making facilities as well as 48 inch HD LCD LED Television, Individually Controlled Air-Conditioning and Free Wifi.